Cedar Canyon and State Route 14 are the gateway to a high alpine playground. Prepare for a day or load up with gear and spend a week exploring. 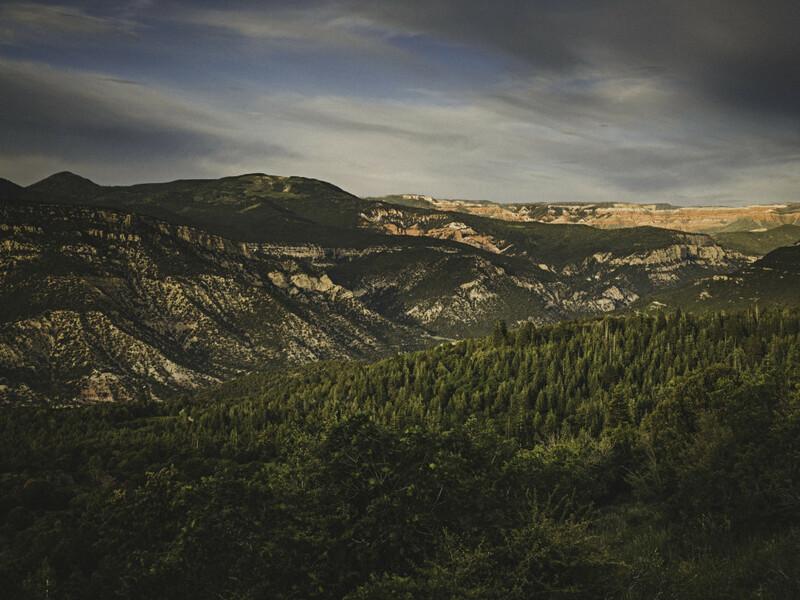 Ancient lava fields, beautiful pine forests, and unbeatable scenic views are waiting only miles from downtown Cedar City. Off Cedar City Highway 14 are the entrances to Brian Head Resort, Cedar Breaks National Monument, the Zion Overlook, Navajo Lake, and the Virgin River Rim. All can be reached from Cedar City within an hour. You will be driving along the Markagunt Plateau, the raised area of earth located in southern Utah between Interstate 15 and Highway 89 and part of the Colorado Plateau. It resides above 9,000 feet, which is nice because it keeps the summer temperature comfortable. Numerous trails, scenic overlooks, lakes, and ponds are found right off the highway. 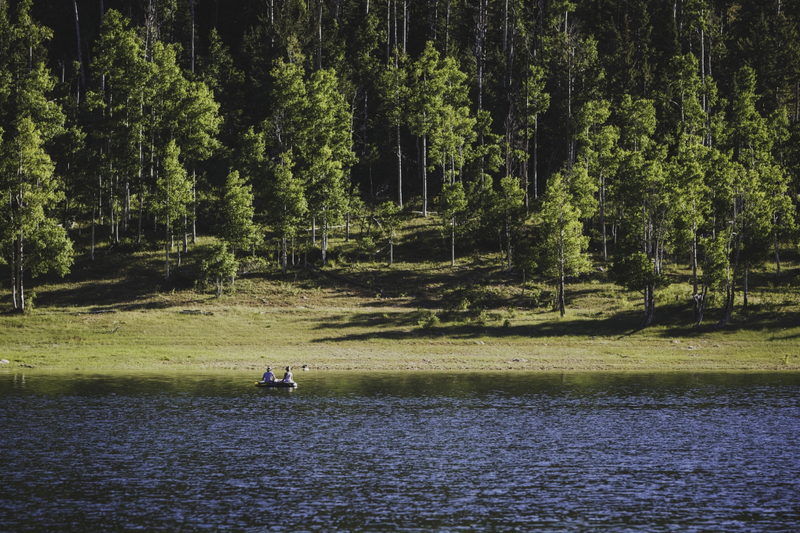 Dixie National Forest offers both primitive and formal campgrounds that are located throughout the area. There are even lodges and cabins available for rent that would make for an awesome mountain retreat. Your drive up Cedar Canyon to the plateau begins with a bang as you drive through the vibrant Cedar red hills, half way up you thread the narrows of the Ashdown Gorge and near the top you are treated to a small geologic amphitheater, not unlike the massive one found in Cedar Breaks National Monument. 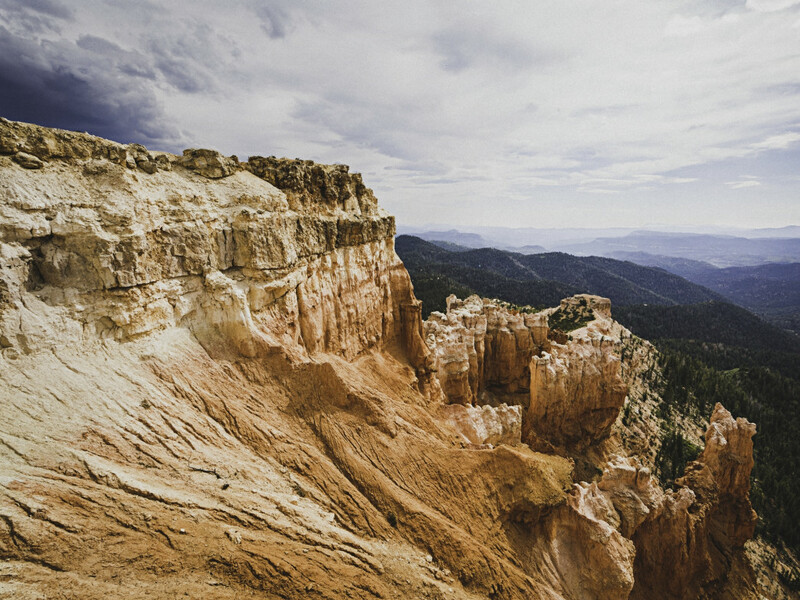 Cresting the plateau at nearly 10,000 feet you will find the Zion Overlook remarkable. Through a forest of spruce and ponderosa the earth rapidly falls away fanning out toward the majestic canyons of Zion National Park. Next up you will come to the Navajo Lake Overlook. A prehistoric volcano eruption dammed the east end of the present day lake. Volcanic activity was once common on the plateau. The surrounding forests have sprung up from these ancient lava flows. From the lookout you will see the turquoise waters of this narrow lake nestled at the center of a beautiful pine and aspen valley. Duck Creek and Aspen Mirror Pond will be to the north before and after you pass through the summer hamlet of Duck Creek Village. Both make for fun fishing if you happened to pack a rod. Take a right onto the improved Strawberry Point Road and follow it seven miles to a fantastic view of the Virgin River Rim. At the very edge of the plateau, just west of Cedar Mountain, you will be treated with the red, white, orange, and yellow cliffs of Strawberry Point. Hoodoos and ravines drop dramatically to the south. If you packed a lunch, this would be the perfect place for a picnic. 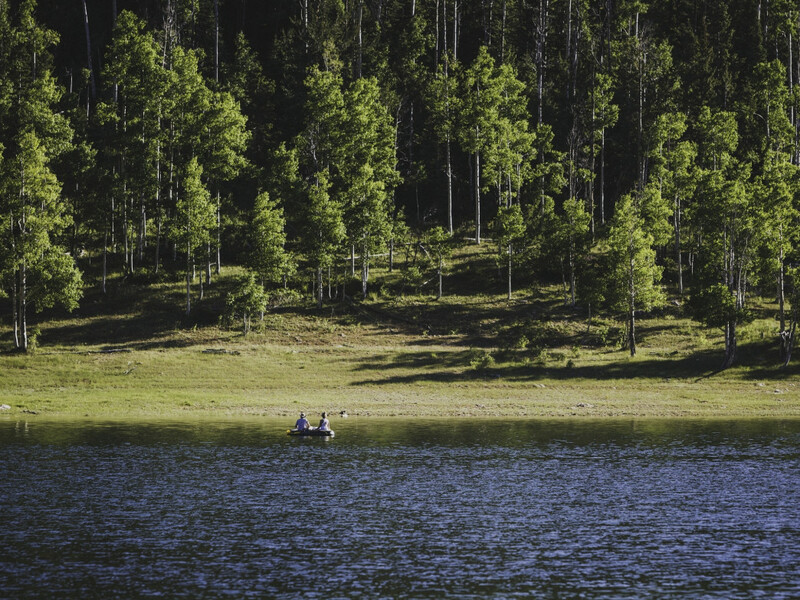 A trip through Cedar Canyon to the Markagunt Plateau will take you to thick forests of Ponderosa Pines, offer you spectacular views and get you out of the summer heat. 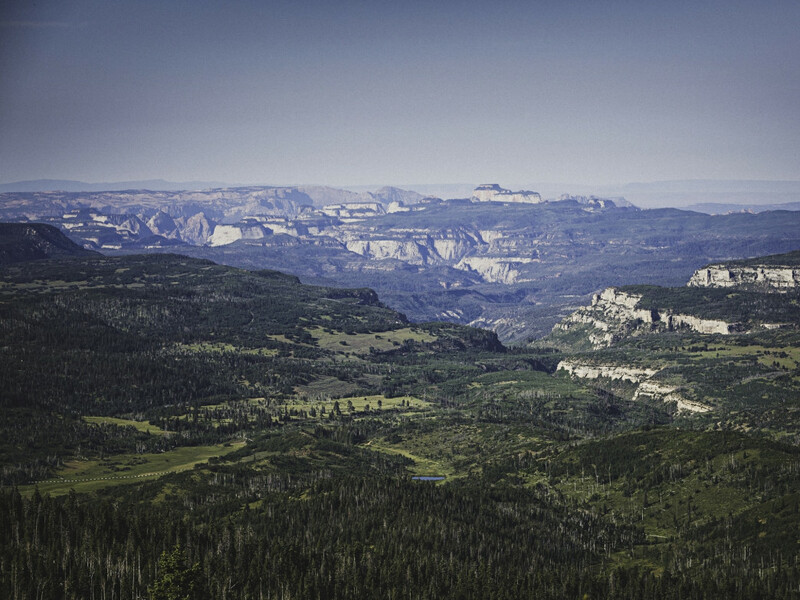 If you like scenery, cool mountain temperatures, and scenic drives a jaunt up the canyon is a must do. State Route 14 runs 41 miles between Cedar City and Long Valley Junction. Head east on Center Street from downtown Cedar City. The Zion Overlook is about 16 miles from Cedar City on the south side of the highway. The Navajo Lake Overlook is about 24 miles from Cedar City on the south side of the highway. Strawberry Point Road is 28 miles from Cedar City on Highway 14. Turn right and follow Strawberry Point Road 7.5 to the end and the look out.